The Maestro Mini got a major overhaul for 2013 but still retains its stashable steez. As a compact, low, lightweight, versatile shape, this deck has been one of our most popular since it first came out. Our redesign is primarily centered around strength with increased versatility as the main goal. Larger kicks make this deck super poppable, while an increased concave at the neck provides micro wheel flares as locators and a ton more strength, which was needed when we gave you all that extra leverage over the tail. 8-ply design makes this deck stiff, while the low profile shape keeps it lightweight. This will be a favorite among urban commuters, freestylers, hallway rampagers, and micro-thrashers. The Maestro Mini is the ultimate micro urban destroyer. Equipped with large radial kicktails, drop through mounting, and multiple concaves that provide foot locators as well as more strength around the neck, we've finally completed a major overhaul with the 2013 model on one of the most popular decks in our lineup. This deck is all mini with every curve designed to make your board stronger and your ollie higher. Thrash it on your way to class and then stuff it under your desk or in your locker. Don't underestimate this little guy. He may be small but he is mighty! 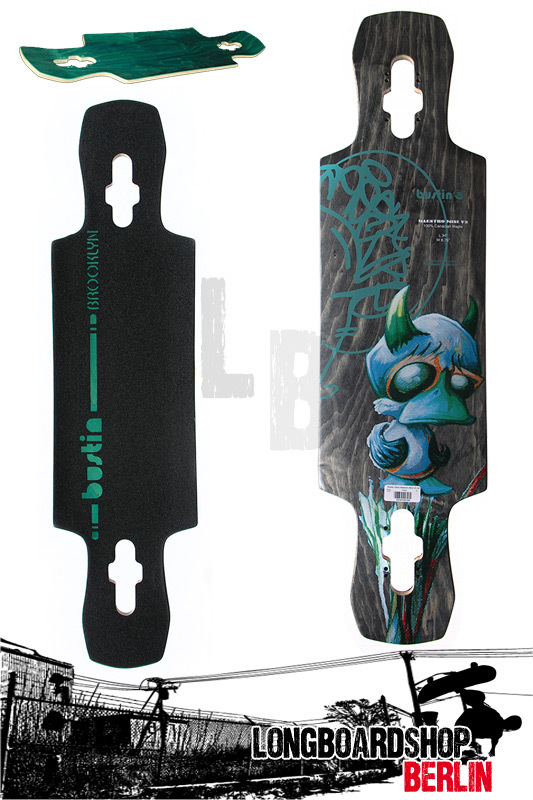 Copyright © 2011-2014 www.longboardshop-berlin.de. Alle Rechte vorbehalten.